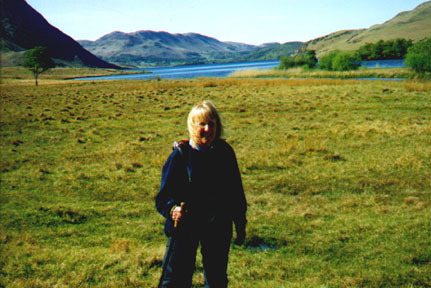 Date : Sat 10th May 2003 p.m.
Place : To Rannerdale, and round Crummock Water. 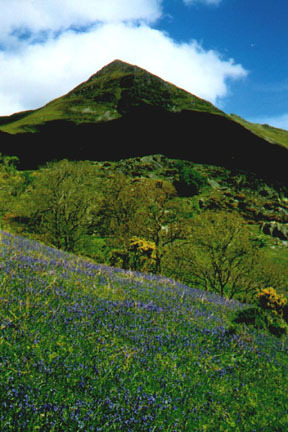 A Bluebell walk. 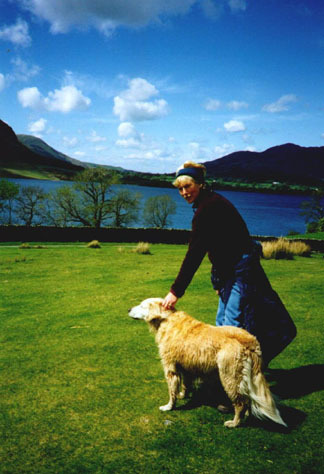 Event : An afternoon walk with Pat and Mike. Distance and time : 8.5 miles - a leisurely stroll including an hour's lunch - about six hours. Weather : A cool start, but getting better by the hour. Beautifully sunny to end. 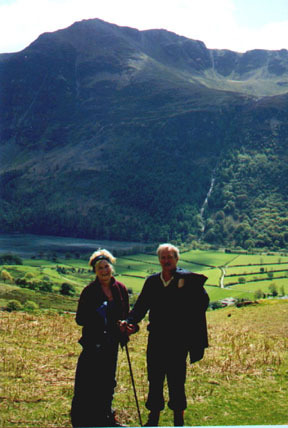 Pat and Layla alongside Crummock after leaving the lakeside path from Langthwaite Woods. The Bluebells are out, just. The recent rain and warm temparatures have done the trick !! 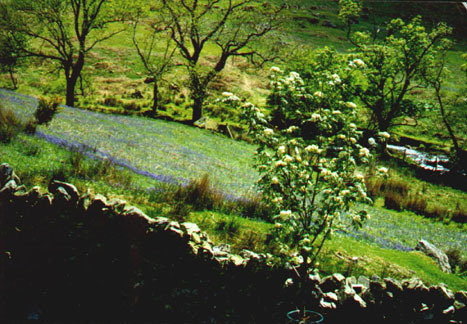 Even though they are small and newly out, the sheer quantity gives the hillside a rich blue colour. On Rannerdale Ridge, with Buttermere's Sour Milk Gill and the High Style Ridge behind. Ann at the top of the Lake. Big smile - You can see Oak Cottage from here !! !